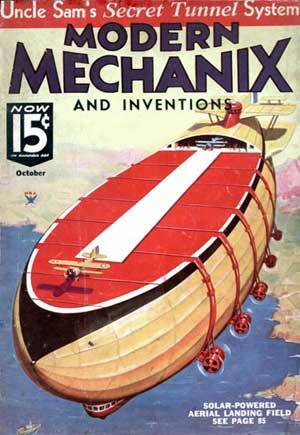 Modern Mechanix magazine. 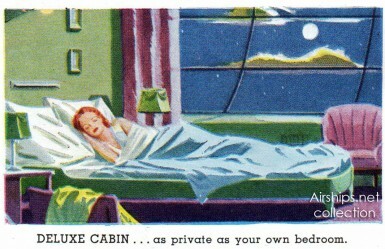 October, 1934. 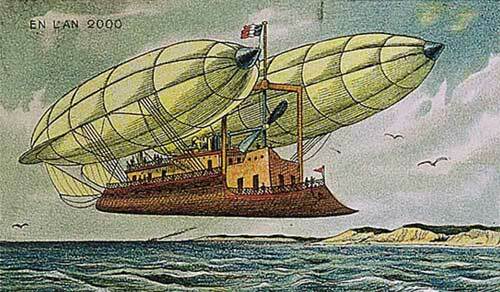 Airships have often served as the symbol of a brighter tomorrow. 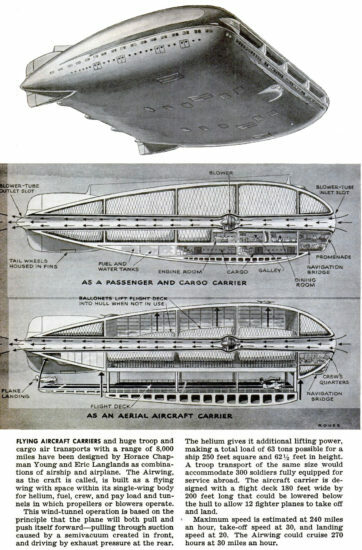 This hybrid airship concept from 1943, designed to meet the needs of war, predicted the hybrid airships that would be built in the 21st century. 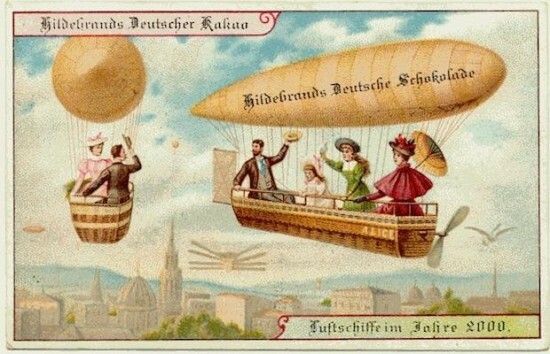 Sometimes futurist airship visions were promoted by companies which were actually involved in the lighter-than-air business. 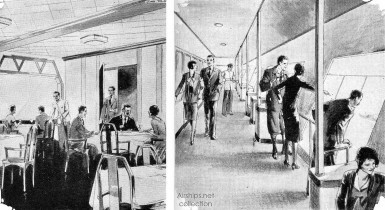 For example, the Goodyear-Zeppelin company, which built the American airships Akron and Macon, and which had a financial interest in the promotion of the passenger dirigible, frequently offered alluring illustrations of future airship travel. 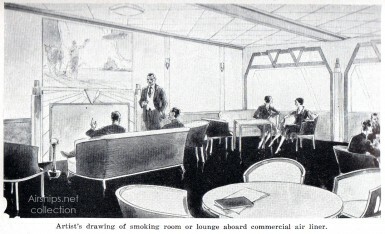 These drawings from Hugh Allen’s The Story of the Airship (1931) imagined an Art Deco dining salon, promenade, and even a lounge with a fireplace. 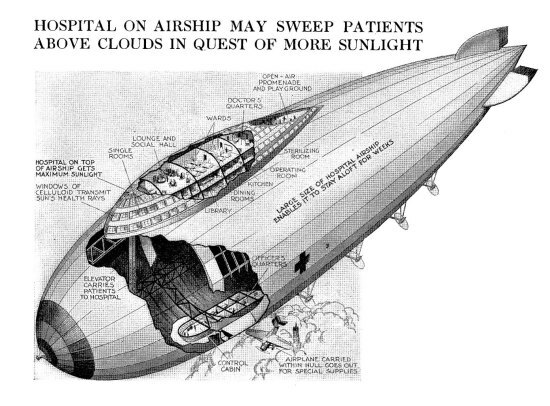 Airships could even advance medical technology, such as this airship tuberculosis hospital. 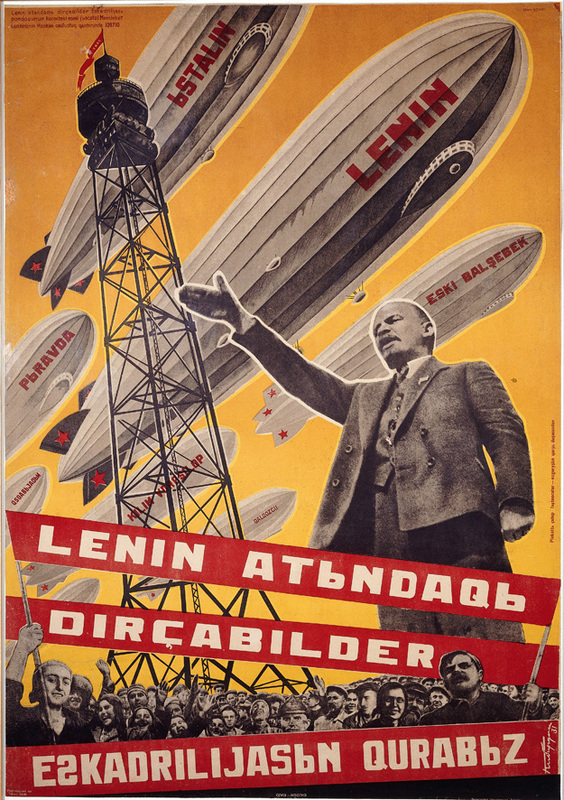 Under the illusion that communism was the way of the future, Soviet propagandists loved images of modernity and enlisted the airship in their cause. 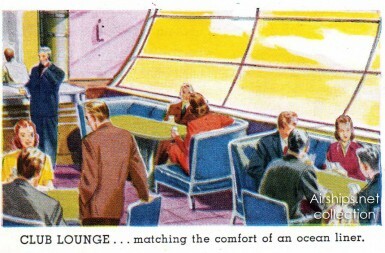 Sometimes illustrators got so carried away depicting lavish interiors that they neglected to leave room for much lifting gas, as in this illustration from The American Magazine. 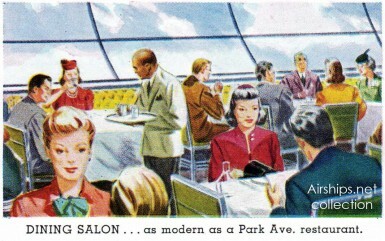 The American Magazine. May, 1930. Another dream. Hope it will fly. 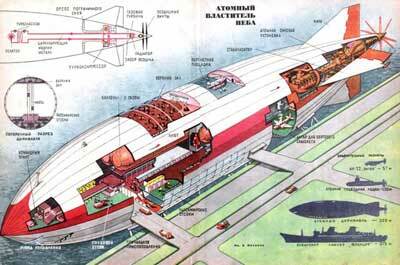 I remember that the Zeppelin Museum edited a catalog a decade ago or so for an exhibit on airships that never flew. This is a nice complement to some of what they covered! 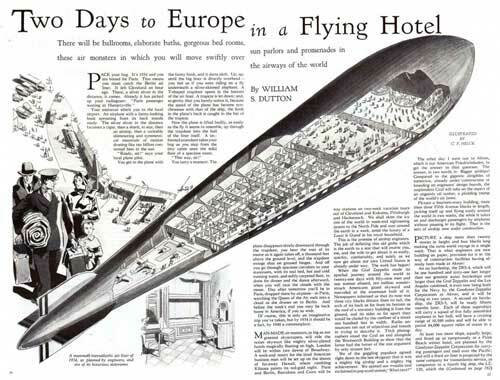 Hi, I’m doing a paper for school on zeppelins and airships in pop culture. Could I possibly have the links to your sources for some of these? 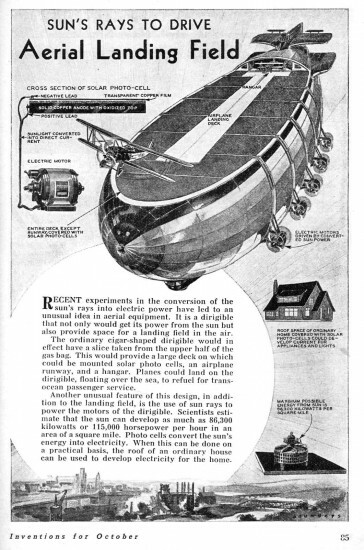 I believe Dan (The writer/creator of this site) studied Airships himself, so this isn’t really a website for information organized from the internet, more like a Airship Encyclopedia. 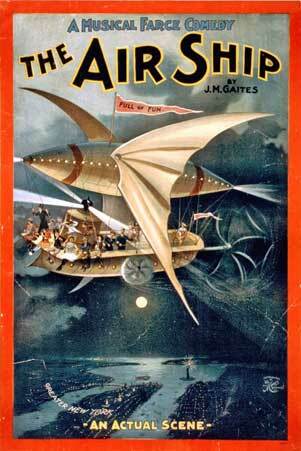 It does say on his twitter page that he is an airship historian. The information on this site is based mostly on primary research so the website, itself, is the source. Most of the images are scanned from my personal collection of research material, supplemented with images I have obtained from various archives or museums around the world. 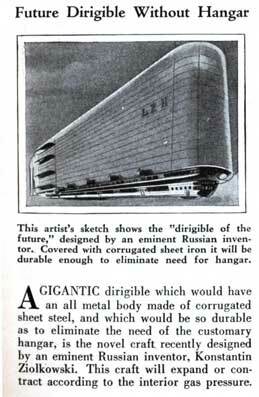 Is the “inventor” of the corrugated iron airship the same Tsiolkovsky who was the Russian rocket pioneer? 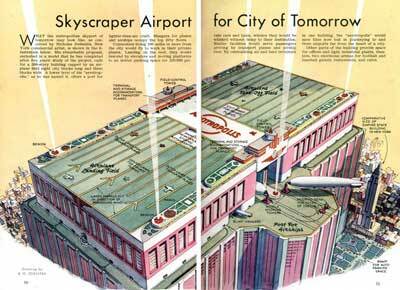 It wouldn’t be the first time someone was totally FOS in one area but was quite smart and productive in another! 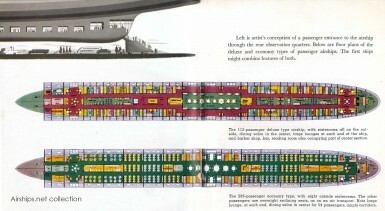 why did production of zeppelins stop?